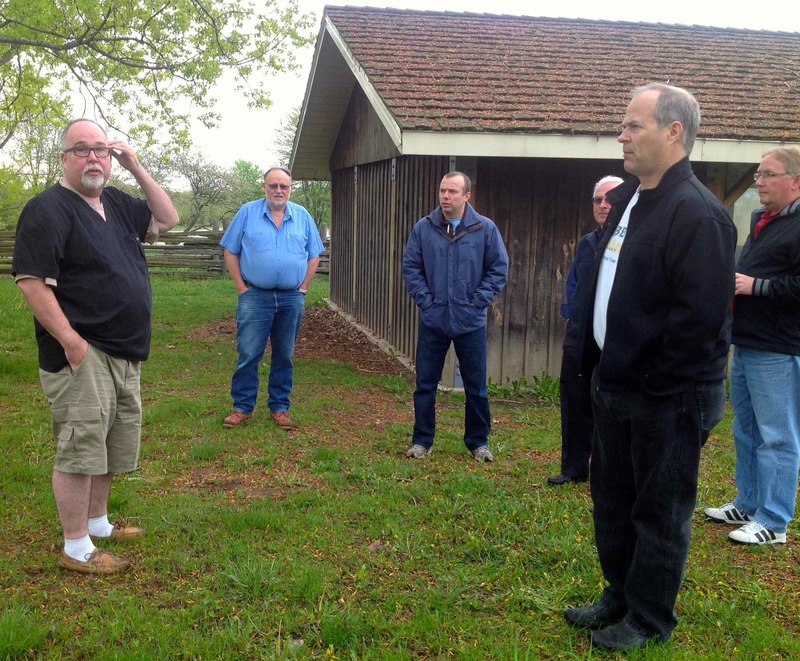 A big group from the Oakville Amateur Radio Club showed up on Saturday morning to inspect the new site at Bronte Provincial Park. All the band captains attended and the reaction to the new location at the Breckon shelter was very positive. The Breckon site is large enough to accommodate the CW, SSB, digital and even the GOTA station in the same shelter. Of course this will necessitate the use of headphones but we’ve always used headphones in the past so this should work. The shelter has 110-volt power plus lighting so it can eliminate the need for setting up tents or pulling trailers onto the site. Best of all there are lots of trees in the 30- to 60-foot range that are aligned in an east-west direction to allow for multiple dipoles setup end to end to minimize RF interference. A washroom building is just down the road. Each of the band captains is currently assessing rigs and antenna needs and a list of operators and times will be setup early in June and posted. We have commitments from members to help setup the barbecue which is located at the rear of the shelter so expect hamburgs and maybe hot dogs Saturday night. For those with more or less refined tastes theses a Tim Horton’s located just outside the park. Discussions among the band captains are ongoing about whether or not to run batteries instead of the generator. We’ve got access to some large-capacity batteries and at 100-watts for 24-hours they should hold up just fine. Using batteries at 100-watts doesn’t change our category but it sure makes for a quieter Field Day. Using the generator would require someone to volunteer to set it up and run power cables to the four stations that have been spoken for to date. So far, we’ve not heard from anyone wishing to do this job. When it comes to 100-volt power we can use the power in the shelter for the lights and computers so long as the computer isn’t being used to generate the on-air signal. This means the CW station on battery power couldn’t use the logging computer on 110-volts to generate CW from the CW memories and would have to use an external keyer of which we have several. Same goes for the digital station but we could put the computer on a transverter and run it off the battery. The one position that it would be really nice to see filled is “Bonus Points Manager.” It would be this person’s job to help the club realize as many Field Day bonus points as possible. Here’s a link to the ARRL Field Day rules. Anyone interested in this position or helping out in any other way can email me at ve3hg@cogeco.ca. This entry was posted in Field Day 2013. Bookmark the permalink. FYI this is probably the time to send an article to the beaver for public notice and of course the points associated with that. Do you still have past years articles so we don’t reinvent anything?